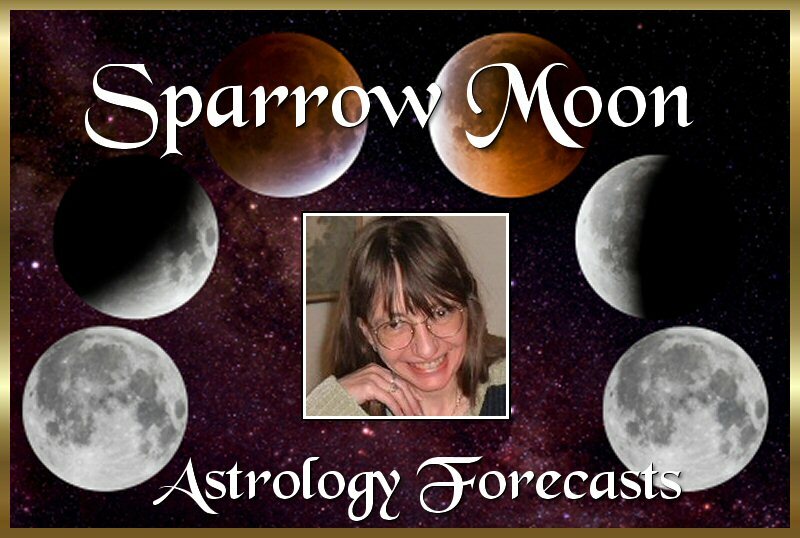 Astrology Forecasts on Site Sparrow's Astrology keeps you up to date on upcoming astrological events, and she writes a monthly general tendencies synopsis and a daily general tendencies forecast. Sparrow does not write for Sun signs, she feels that Sun sign astrology belongs in the comic books. There is a lot more to your personality than just your sun sign. There are nine other major planets which the "comic book" astrologers ignore. So, Sparrow's forecasts explain the present position of the planets and how they affect people in general, and she adds insight to compare the general tendencies to your own natal chart. You'll be amazed at her accuracy. Sparrow sends her monthly astrology forecast plus extra information.